Let’s face it: those legacy apps can run up quite a tab. But what are your choices when you’re denied funding for new systems and can’t retire the old? Two words: application modernization. Over the course of many engagements, Dell Services Federal Government (DSFG) has successfully enhanced application functionality for numerous clients, helping to eliminate technical headaches, while enabling operational cost reductions of 30-70 percent. Application modernization helps federal agencies in particular to redirect these savings to the digitization initiatives that deliver the modern business agility they sorely need—all within annual blanket funding constraints. DSFG mines the relevant business assets and requirements from your legacy applications in a comprehensive re-architecting process that spans infrastructure, apps, cloud, digital and BPO. You can expect your implementation time to shrink, while you also enjoy impressive increases in system accuracy and a sharp, overall drop in risk. Watch this space for my next installment of our apps mod blog series. My next post will highlight the benefits of a DFGS strategic modernization roadmap and examine how it can help you establish a customized path to apps modernization. 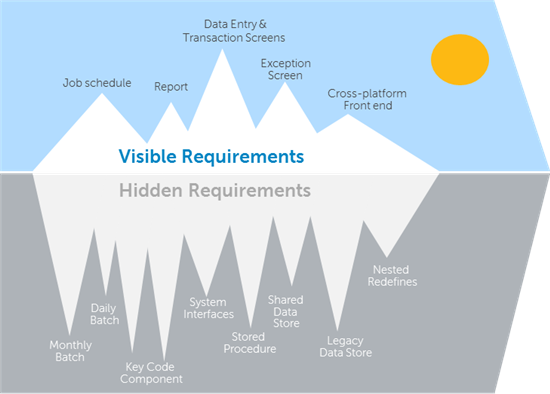 Our roadmap provides clarity and valuable knowledge about the functions in your application layer; this is achieved with analysis at the code level. Our analysis enables us to offer multiple options for a future state that delivers an agile solution with enhanced functionality in a modern, architected environment—at a much lower cost. DSFG is ready to serve as your trusted IT partner. We offer a proven, 20-year heritage with federal agencies and success with more than 1,350 IT initiatives for over 350 federal government and commercial organizations of every size.